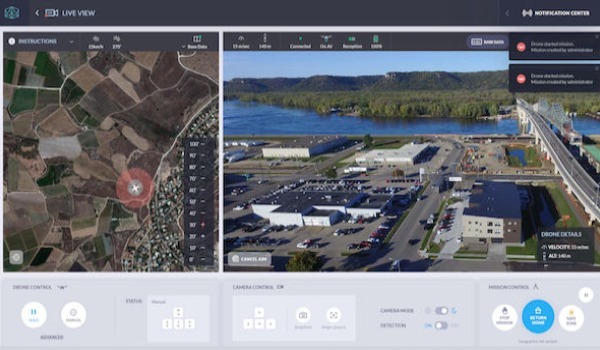 Percepto's autonomous drone stations provide industry teams with a continuous stream of aerial data made available at critical moments to key personnel. 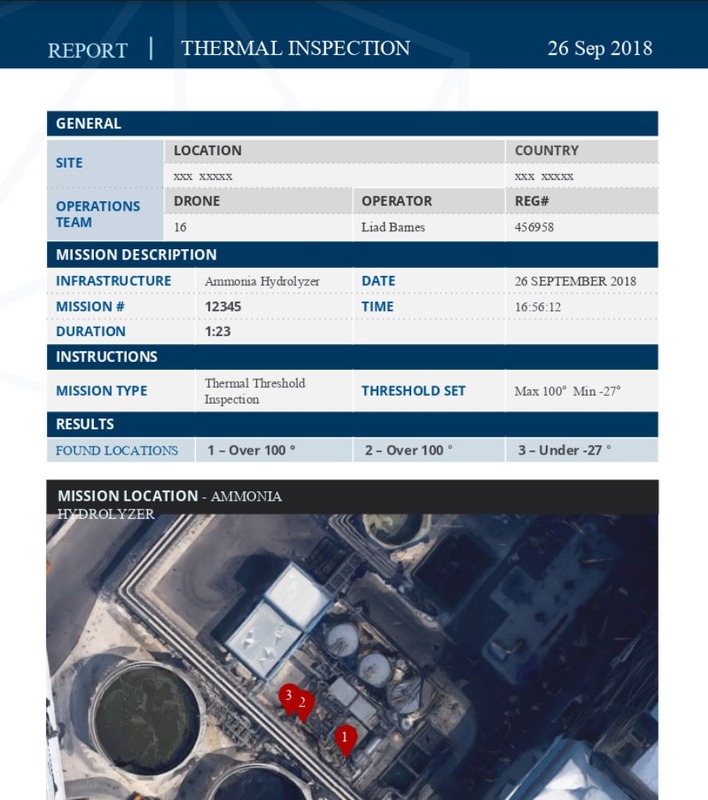 All industrial companies engaging in digital transformation and intelligence initiatives can benefit from easy to use and invaluable real-time insights provided by our autonomous drones, without the availability constraints or cost burden of services provided by human operators. 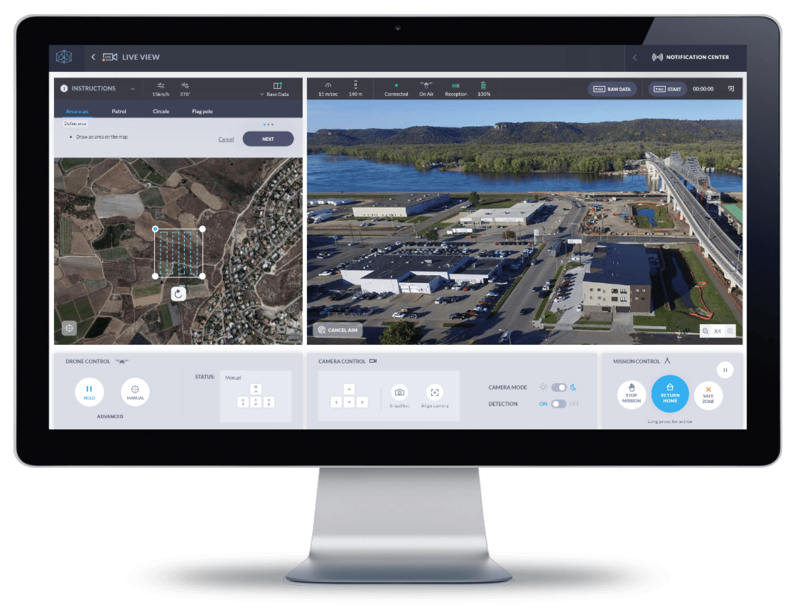 The digital transformation of industry demands a continuous stream of aerial data made available at critical moments to key personnel. 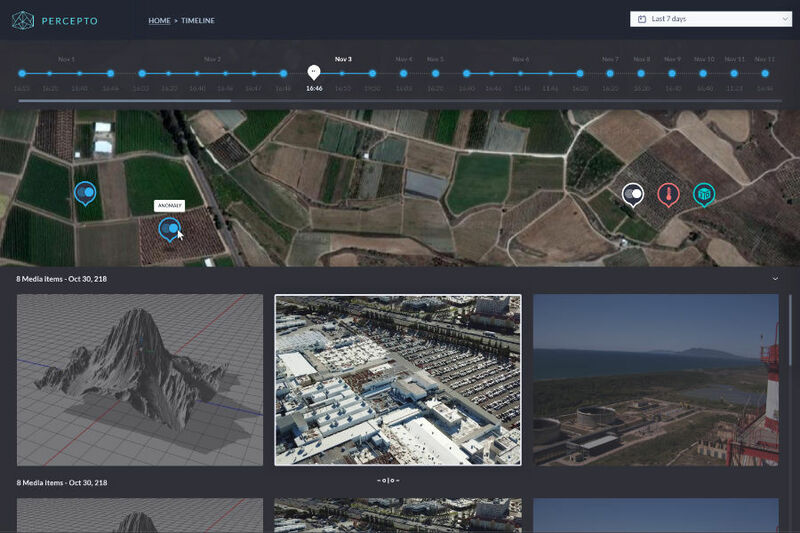 With Percepto’s autonomous drone stations, all teams on-site benefit from easy to use and invaluable real-time insights, without the availability constraints or cost burden of services provided by human operators. 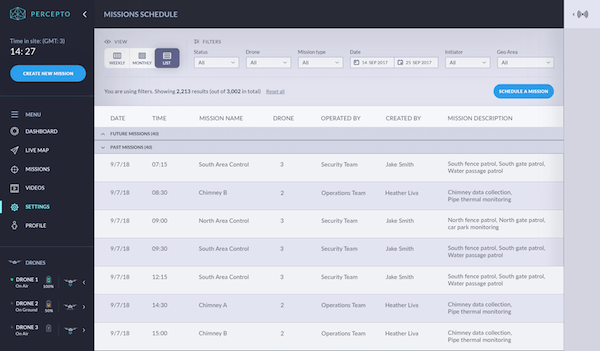 Schedule and manage autonomous security patrols and inspections while monitoring routines from the cloud management system. The Sparrow drone automatically takes off from the Percepto Base, performs its assigned task, and returns to charge and transfer raw data to cloud storage upon completion of its mission. 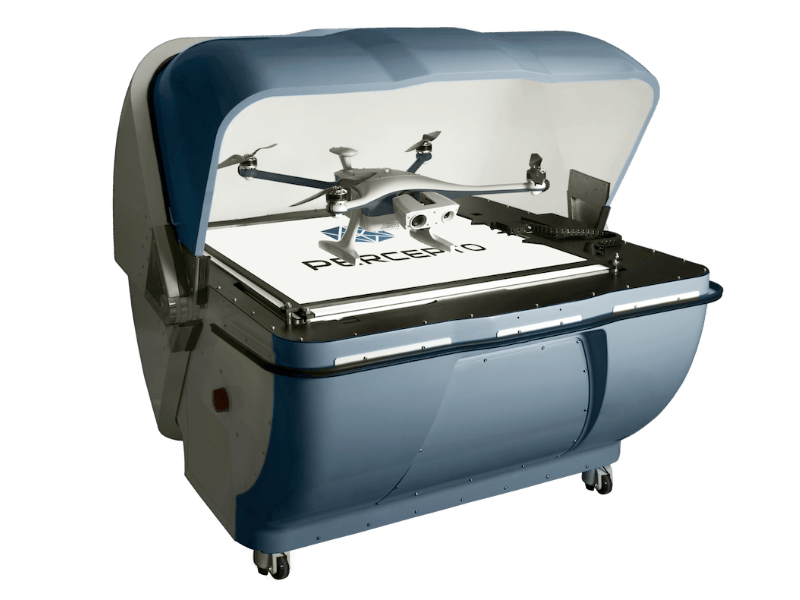 Launch drones on-demand to access a live aerial perspective in the event of an emergency or other unplanned event. Simultaneous RGB and thermal data collection enable advanced data analysis and easy switching between sensors in real-time. Aerial insights are streamed live to personnel and archived for later viewing. View live and easily navigate previously recorded data to view any specific time and place on site. 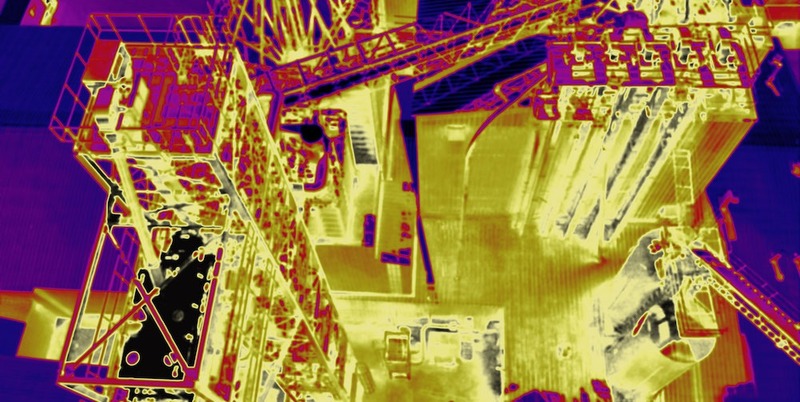 Constant temperature measurements and unique alert mechanisms notify personnel of temperature breaches. 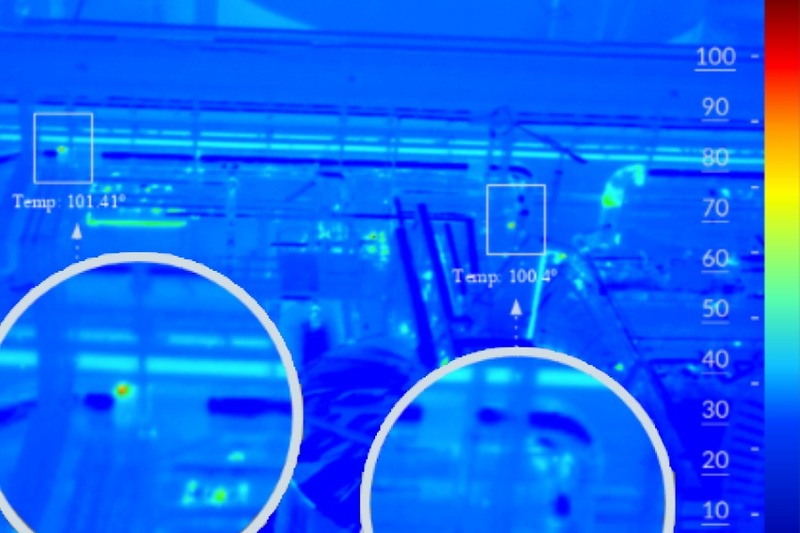 Computer vision and AI powered features alert personnel of security and safety risks and other anomalies important to your operation. 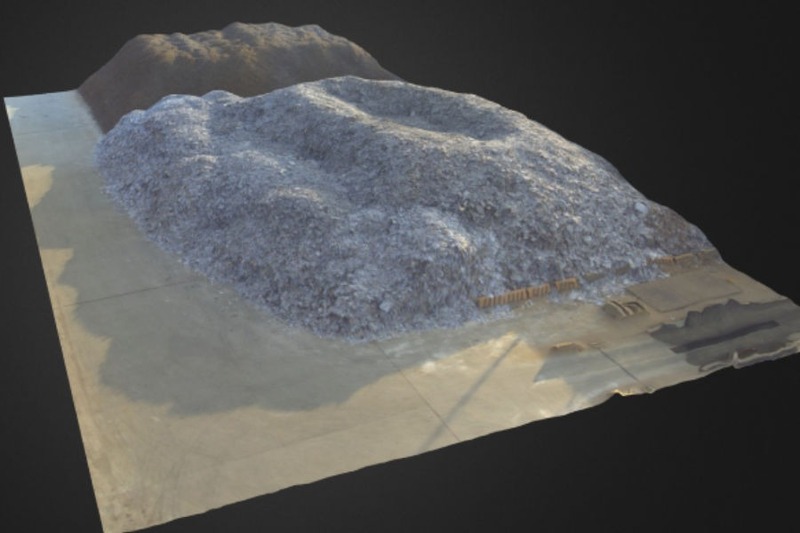 Routine generation of topography and pile inspection maps allows for improved inventory management. 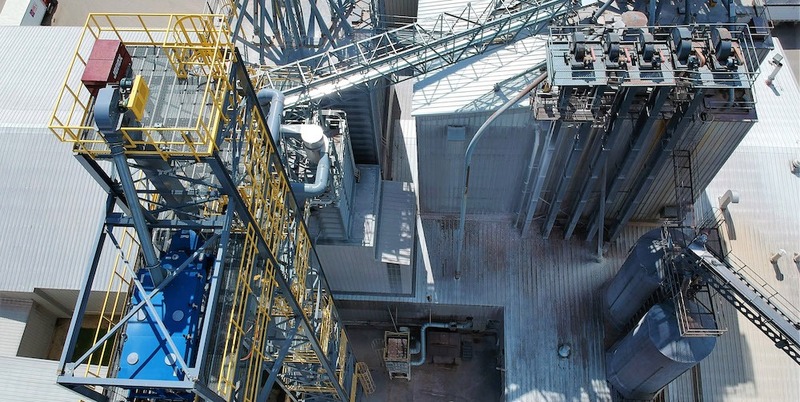 Data is securely stored for change detection over time to identify issues for preventative maintenance, advanced forecasting of production, and proof of compliance documentation for regulators. Reports are automatically generated and sent to relevant stakeholders. 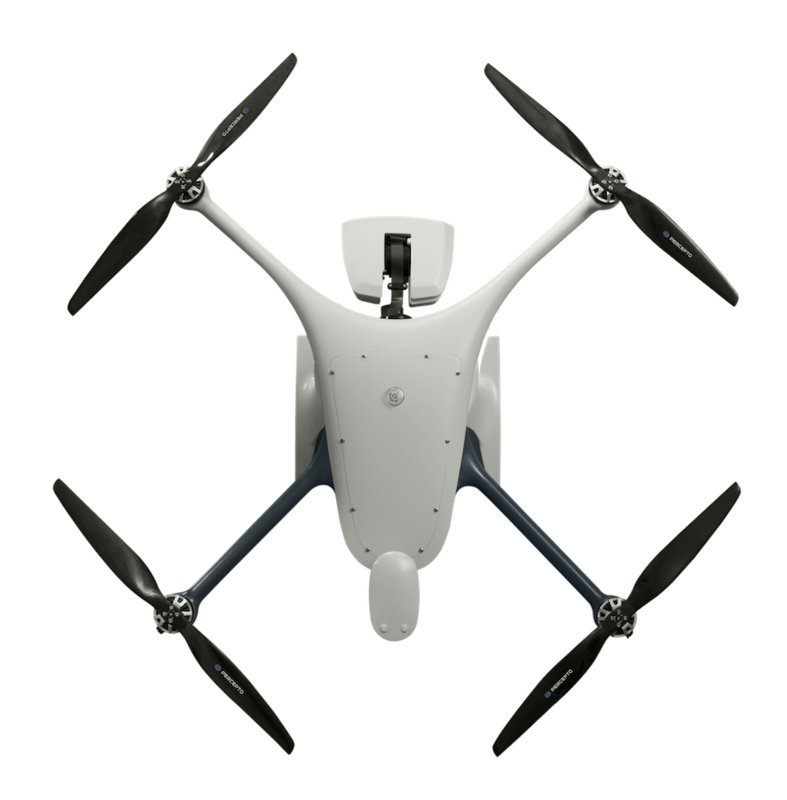 Percepto’s system consists of a weatherproof drone with HD RGB and thermal cameras, a base station for recharging and sheltering the drone and PerceptoCore software suite for flight management, data storage, report management, permissioned team access and computer vision and AI-powered applications. 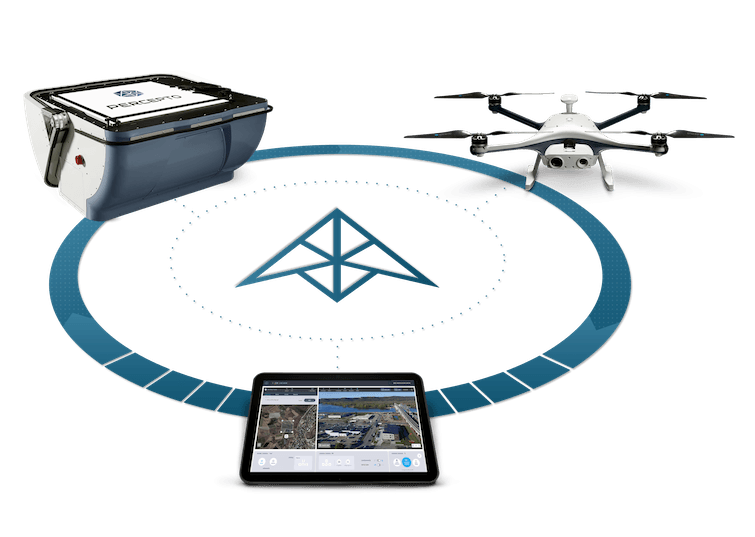 Percepto’s drone systems can be deployed standalone on a site, or as groups of multiple drone-in-a-box systems to meet coverage needs. The autonomous, weatherproof Sparrow drone is equipped with state of the art machine vision technology for identifying and tracking objects of interest. 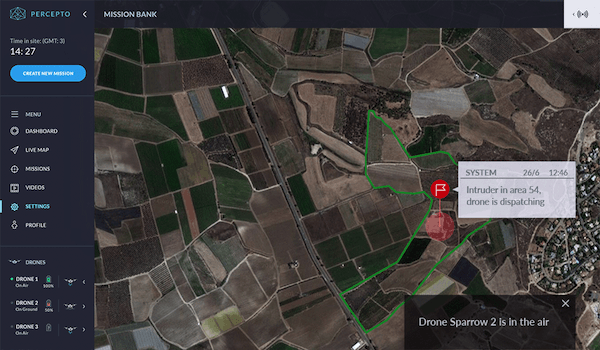 Dual sensor payloads allow for HD video streaming, recorded video, imagery collection for photography or orthomosaic maps, and night vision. The Percepto Base is an industrial-grade, weatherproof, portable base station. When not in operation, the drone resides in the base, ready to launch at a moment’s notice. 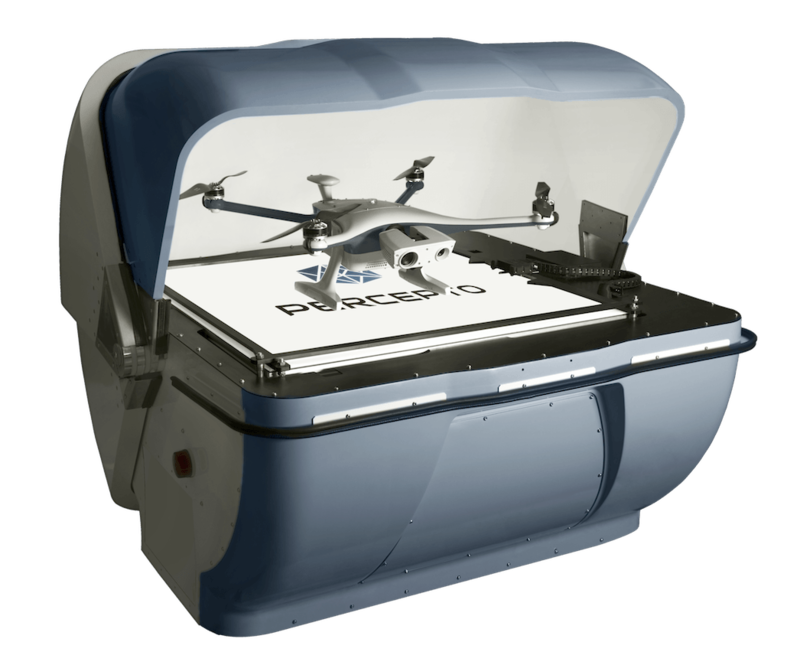 The base charges the drone when not in use and facilitates secure data upload to the PerceptoCore. 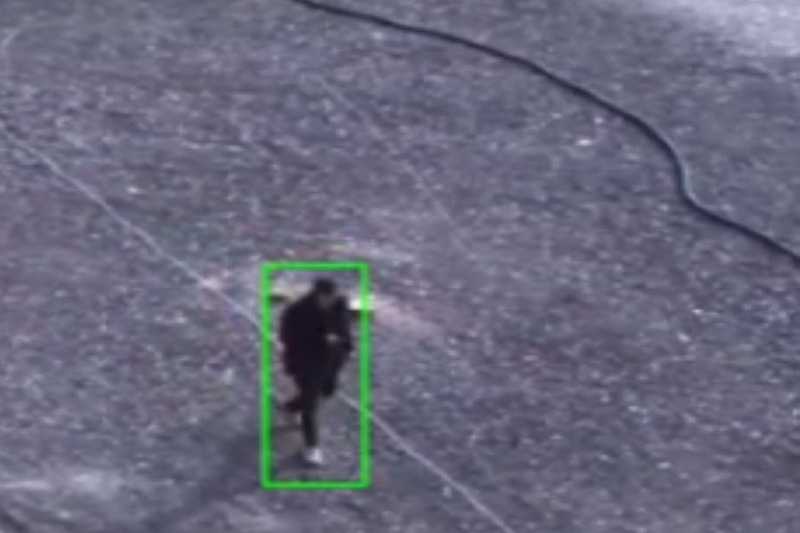 Powered by computer vision and AI, PerceptoCore provides value-added applications allowing relevant stakeholders to gain operational insights during and after missions, providing real-time notifications and automatically generating reports per specific missions’ findings. Percepto stores system data in a secure cloud for review and analysis. Higher security encryption is available based on customer requirements.